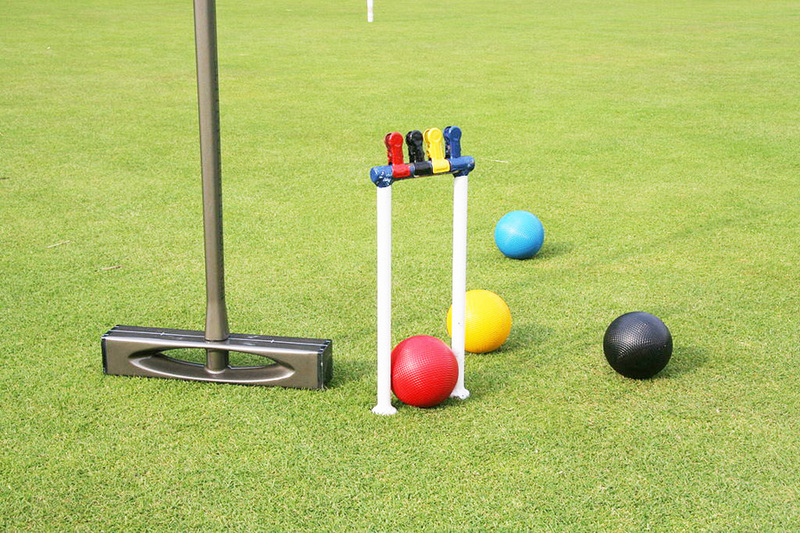 The sport of croquet has been described as a combination of billiards, curling and chess. Men and women play together on equal terms. BICC offers social and recreational opportunities where members can have fun and learn to love croquet. Contact Us to find out how to join our Club. We have 100+ members. Visit the Club at 100 David St. Bayfield - we would be pleased to show you a demo! Annual fees include unlimited play, regular Club tournaments, mentoring and lessons and social events. Tuesdays and Fridays - fun learning. Thursdays - recreational play and weekly party. Sundays - Croquet & burgers. The Club hosts a 4 - day tournament that attracts players from Canada, U.S. and Australia. BICC offers Golf Croquet and Association Croquet. Some members of the Bayfield International Croquet Club are qualified international referees. Members of the Club have competed elsewhere in Ontario, in the USA and England. Croquet is a world wide sport - you can find a club and set up a game almost anywhere! The season kicks off on Victoria Day Weekend with a one day tournament that pairs an experienced player with a new player. A reception is held afterward to celebrate the beginning of the new season and to promote the social aspects of the Club. Social Events are held every Thursday that includes 2 hours of play and finishes with a party hosted by members for members. Recreational play includes Tuesday, Friday and Sunday games for fun and learning. Annual tournaments are geared toward beginner players, intermediate players and expert players. The tournaments are season long events to accommodate seasonal residents. You can play whenever your schedule permits! One of the goals of the Club is to promote the sport of croquet .... and to have fun. Seasoned players generously share their expertise by offering free lessons and mentoring to learning members.